July 15, 2014 – Prayers for Children – On the 15th, as a world community, we direct our thought, prayer, and blessing to the refugee child. Globally forced displacement will result in 50 million refugees – one half of these will be children. Some children will travel in groups; many alone. All are at risk of being exploited, abused, sold, enslaved and not all will survive. Countries receiving refugees face a humanitarian crisis. 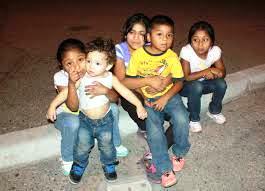 The USA has already received more than 50.000 refugee children since October – many from El Salvador, Guatemala, Honduras. For a real change, political solutions must be made. We can still reach our to these children through prayer, blessing, positive intention and humanitarian aid.